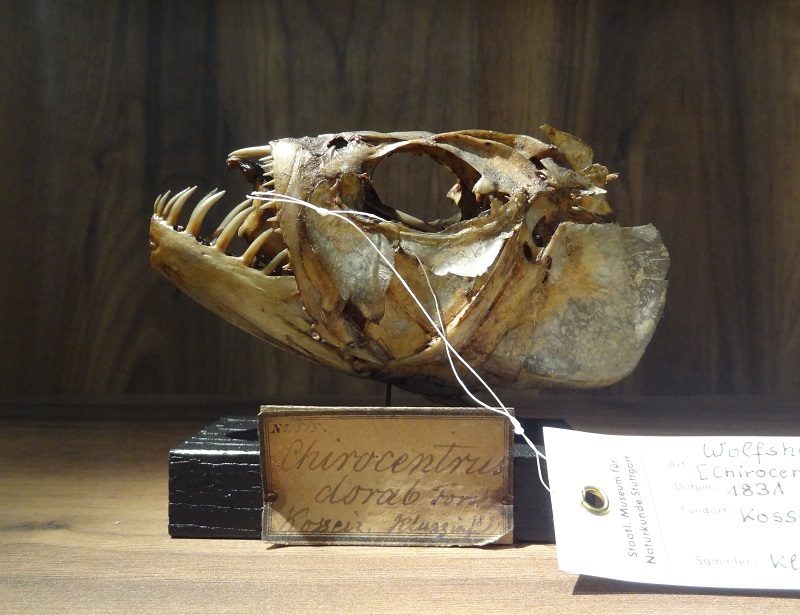 Today´s blogpost features another fish skull, this time a much smaller but yet pretty impressive one, which nearly looks like a miniature version of the giant cretaceous Xiphactinus. It belongs to a dorab wolf hering (Chirocentrus dorab), a member of the Clupeiformes, what makes it a close relative of herrings, anchovies and sardines. Quite in contrast to those usually filter-feeding planctivores, wolf herrings are voracious predators with huge gaping jaws and enormous teeth. 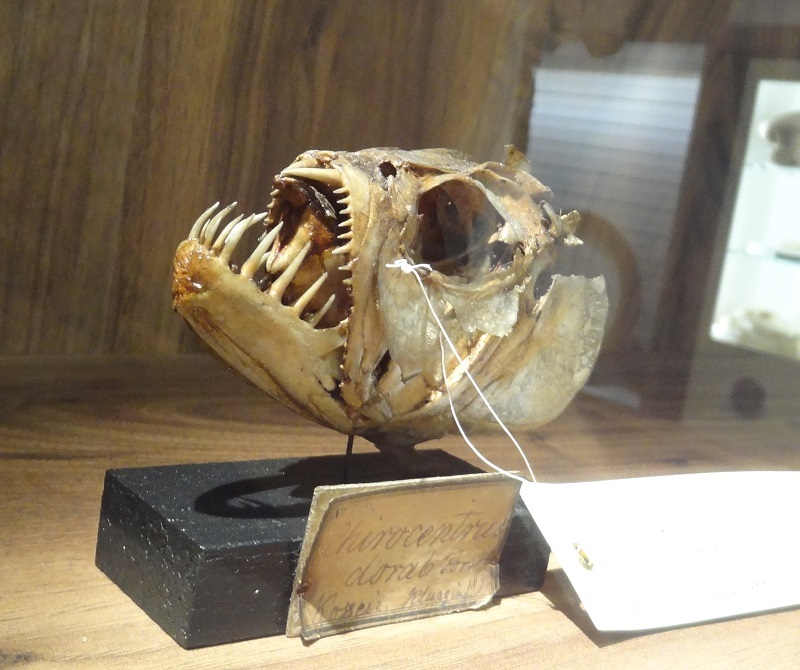 Iy you look at the skull you can see not only the very large teeth in the lower jaw, but also a pair of nearly spear-like teeth in the middle of the upper jaw. There are only two species of wolf herring, the dorab wolf herring and the whitefin wolf herring Chirocenturs nudus. Except for the size, which doesn´t exceed a metre, the head and body shape of wolf herrings is really suprisingly reminiscent to Xiphactinus. 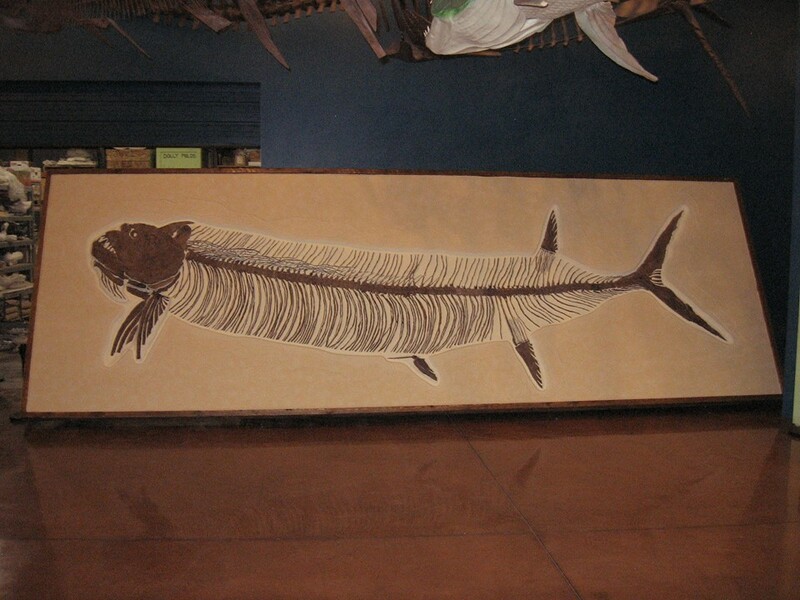 Here is a photo of „Mildred“, a gigantic Xiphactinus audax specimen of 5,6 m, which was kindly provided by Anthony Maltese (thanks again!). 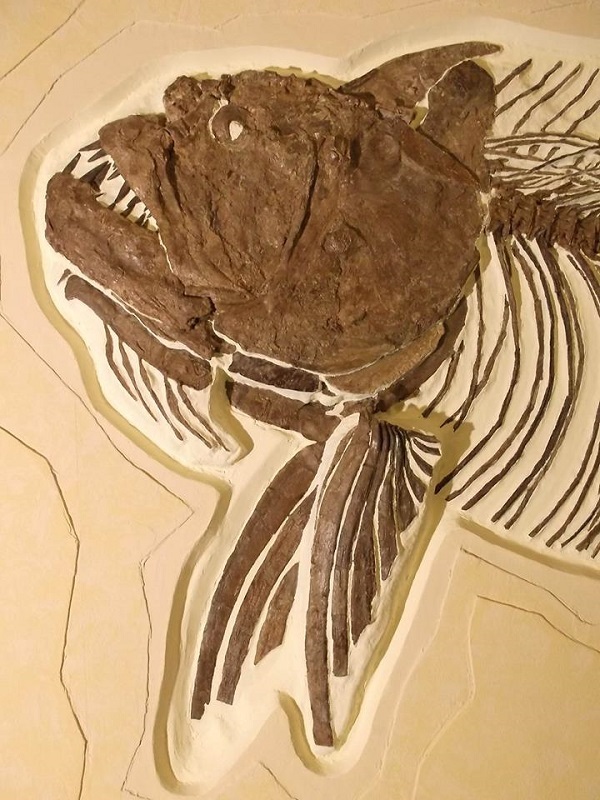 Dieser Beitrag wurde unter Anatomie, Fische, Paläontologie veröffentlicht. Setze ein Lesezeichen auf den Permalink.